Eat, Walk, Ride ...... Ponder: Coast to Coast Walk - Next adventure. Coast to Coast Walk - Next adventure. 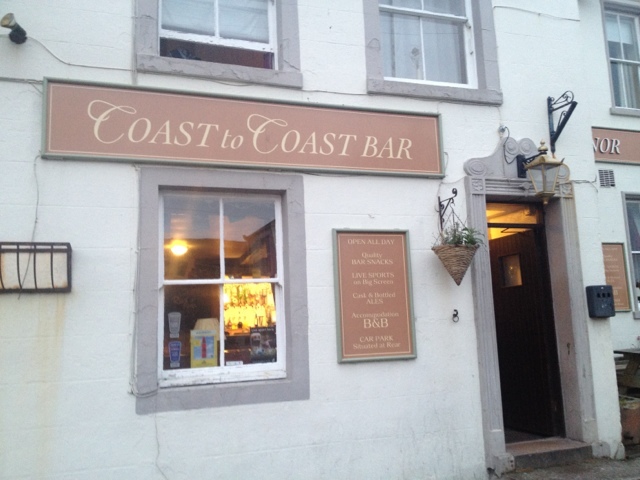 The Coast to Coast Walk is a 220mile (354km) unofficial and mostly unsignposted long distance footpath in Northern England starting on the west coast at St Bees and ending on the east coast in Robin Hood Bay. Devised by one Alfred Wainwright, it passes through three contrasting national parks: the Lake District National Park, the Yorkshire Dales National Park, and the North York Moors National Park. Arrived by train at St Bees around 5:30 this evening and checked into the Manor house inn. 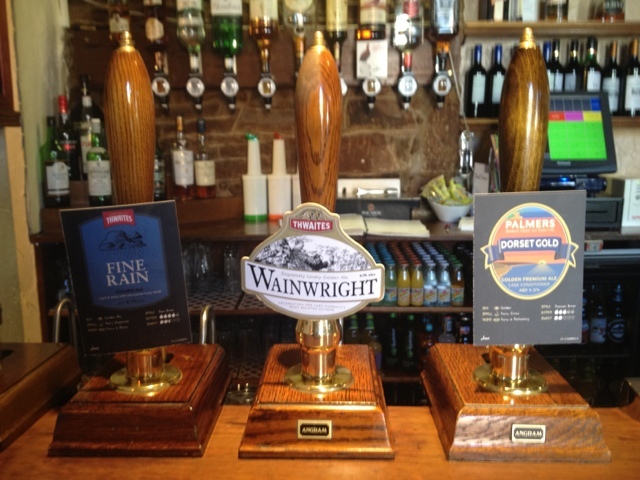 It had a Coast to Coast bar and I sampled a Wainwright real ale. No commercial bent here. We start the walk tomorrow planning to do it slow over about 3 weeks with a couple of rest days along the way.